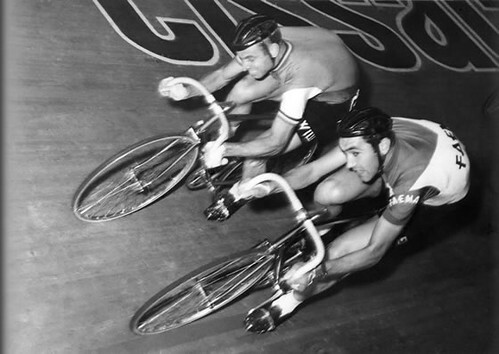 Merckx earned his nickname for the insatiable competitive drive that defined his unparalleled cycling career. 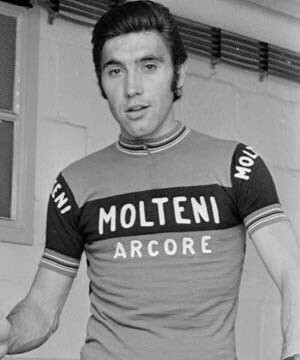 He won an astounding 525 pro races over 13 seasons, notching his first major victory at the 1966 Milan-San Remo classic, when he was 20, and logging his final big win at the same race in 1976. 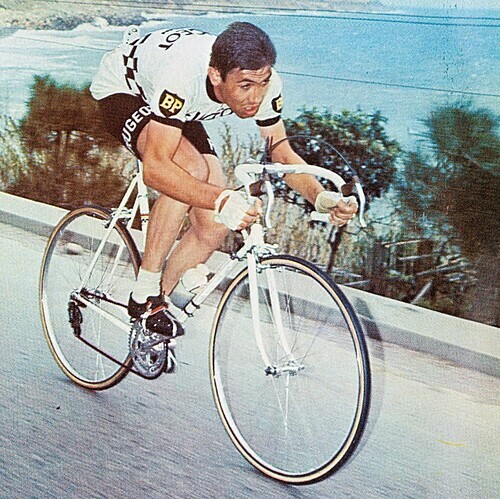 In between came 5 Tour de France titles, 5 wins at the Giro d’Italia, and one Vuelta d’Espana victory. 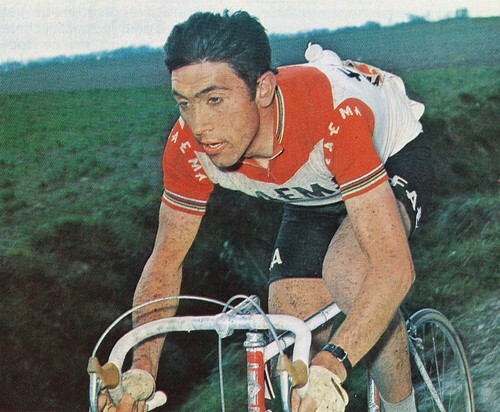 Merckx won each of cycling’s five Monuments, the one day classics universally acknowledged as the most prestigious in the sport. Besides the Milan-San Remo these include the Tour of Flanders, Paris Roubaix, Liege-Bastogne-Liege and the Tour of Lombardy. 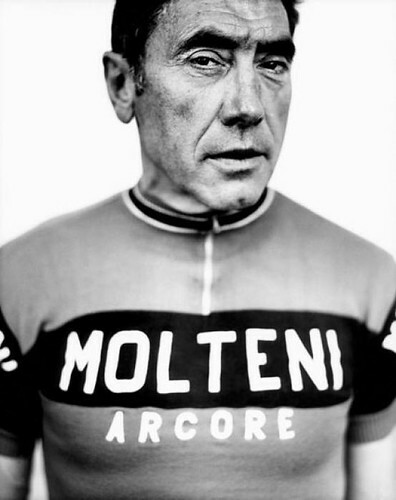 Only 2 other riders in history won all five, but Merckx won them a combined 19 times, eight more than the next most accomplished rider. 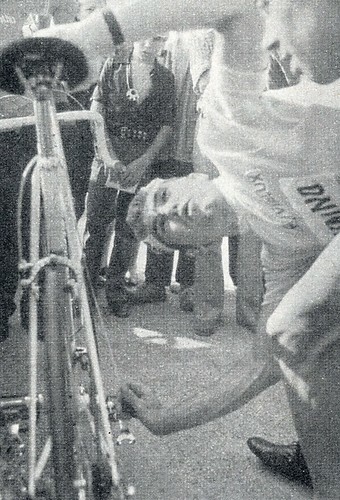 In 1969 he became the only rider ever to sweep the overall, mountain and points classifications at the Tour de France. 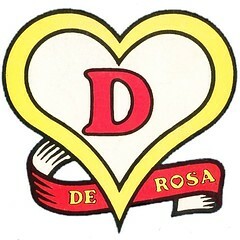 He twice won 8 stages in a single tour, holds the record with 34 overall and for the most days in the yellow jersey – 96. In 1971 he won nearly half of all the races he entered and from 1969 to 1973 never won less than a third of his races – an astonishing rate of success in a sport where a single victory can sometimes make a rider’s season successful. 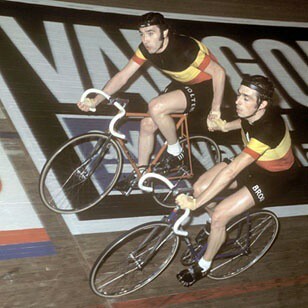 In 1972 Merckx set his sights on another goal: The Hour Record. His preparation for the event was short and basic compared to todays standards. 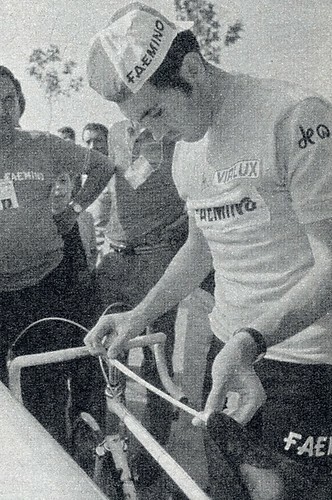 His state of the art machine was also very much a conventional bicycle: steel tubes, standard drop bars and wire spoked wheels along with a few titanium components and requisite drilling throughout. 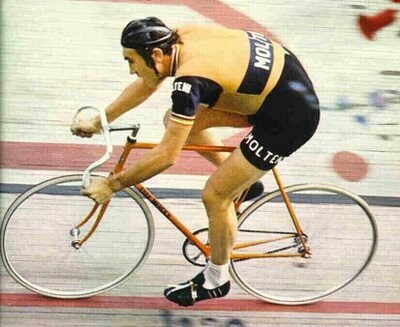 Merckx was the last cyclist to break the record on a ‘conventional’ bicycle – a feat that remains unmatched to this day. 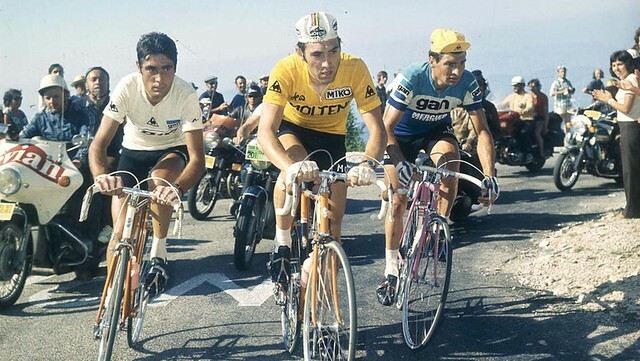 During his peak the Cannibal’s dominance was so complete that he was widely resented in the peloton and even by the european public who longed for their compatriots atop the podium. 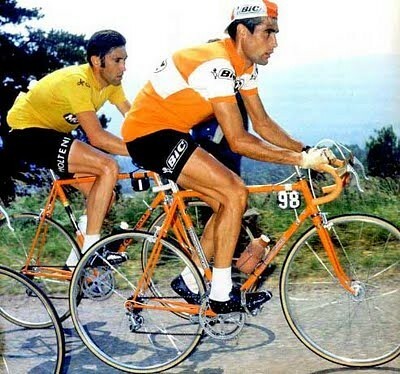 Merckx was alone and in front both literally and figuratively. 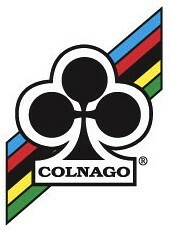 By the mid 1970’s his punishing pace and relentless pursuit of being the fastest began to take a toll on his body. 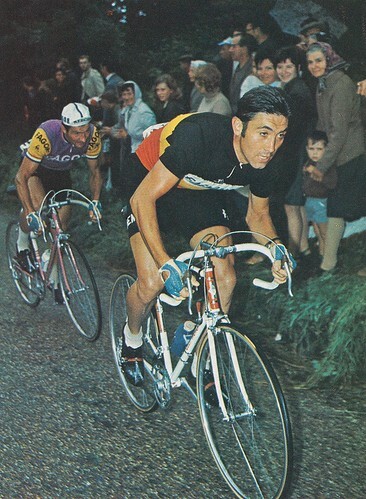 Instead of leading the pack he found himself chasing the leaders and not being able to overtake them like in days past. He retired from racing in the late 1970’s, past his prime, but already a living legend. 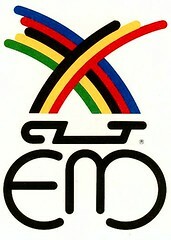 This entry was posted in Riders and tagged Eddy Merckx greatest cyclist. Bookmark the permalink.